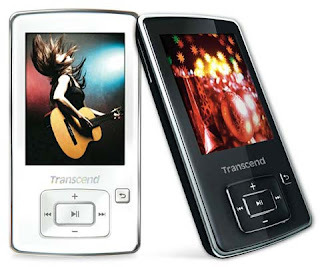 Transcend MP860 digital music player comes superb sound quality, with support for file formats like FLAC Free Lossless Audio Codec, OGG, MP3, WMA, WAV, and even WMA-DRM10 protected music files. The MP860’s advanced equalizer effects with SRS WOW HD and user-customizable options, allow sound output to be tailored to match specific music tastes and styles. It has large built-in speaker, allow to listen to music without headphones. MP860 is also designed for playing MPEG4 SP(XVID) and FLV movies with good audio and video quality. It has 2.4-inch high-resolution screen. For storage the MP860 comes with up to 8GB of built-in memory, and also features a convenient microSD/microSDHC expansion slot. Now enjoy music any time any where!! Cool gadget! !